Recently, I have been asked a lot of times, why do I live in Hungary and what do I find attractive about Budapest! 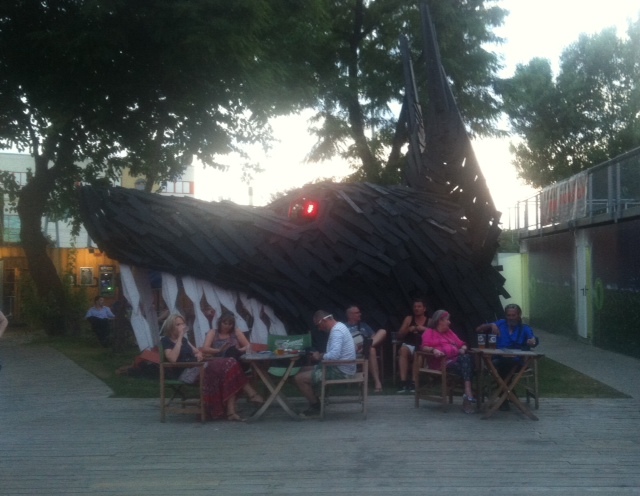 So here you go – a list of 17 things, which are cool about the life in Budapest. Hungary is the super power in fresh water resources and I would bet my shoes into this country becoming soon very rich because fresh water is running out. Also, it is crazy hot in Hungary (especially during summer) and visiting one of the spas is simply a must even for the locals. Budapest has a total of 20 spas. Given the water is thermal, it is possible to enjoy the spa culture throughout the entire year (because, guess what, it is not that cold in winter either). There are several spas, which are frequented by tourists (yes, listing in Lonely Planet always helps). The biggest and most popular one is called Széchenyi, which gets every year visited by 1 million people. Every Saturday, famous Sparty (spa + party = Sparty) takes place there. I have never been to one, but heard that it is not that cool. But based on the pictures when you search Google for the term Sparty Budapest, it looks pretty wild. I guess it depends on your taste. 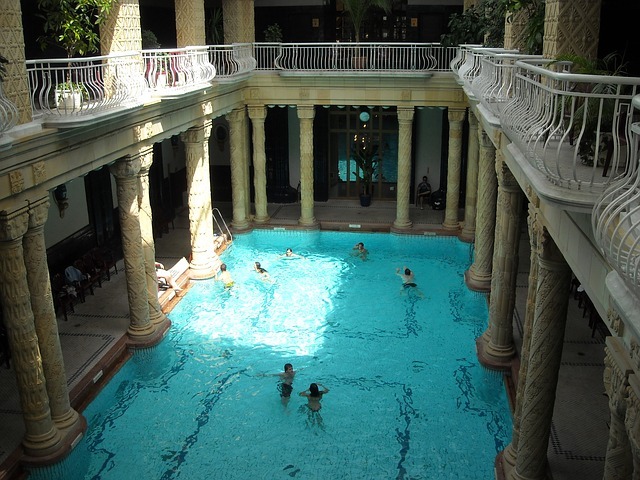 This spa is the biggest in Budapest with 15 indoor and 3 outdoor pools. It is located in the heart of the City Park of Budapest. 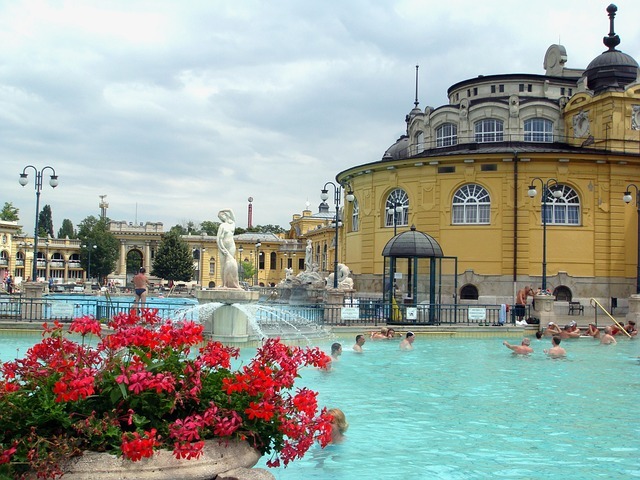 The other spa that is pretty popular with tourists is Gellért. It is located on the Buda side and now since the new Metro 4 was put into operation, there is even a metro stop next to it! It is a lot calmer than Széchenyi, but can get pretty crowded too. My favorite spa is however neither of the above mentioned, but a smaller one called Lukács. At night, they have little LED lights in the water, which change color and there are also other 2 swimming pools outside (besides the ones indoors). There is also little outdoor fitness and a lot of jets to get you a water massage. This spa is popular with Hungarians too (unlike the 2 major ones above), so if you want to mingle with some locals, Lukács is the place. The spa tradition in Budapest is a bit old school so if you want to have a swim too, make sure you pack a swimming cap as some of the pools are accessible only with a cap. Of course you can buy one on the spot, but why not to be prepared, he? Located in the middle of the Danube river by the Margit híd (Margaret bridge) and accessible also from the Árpád híd (Arpad bridge), this place is a hidden (not so much) pearl of Budapest. This 2.5 km (1.6 mi) long and 500 meters (550 yards) wide island with the area of 1 km2 (238 acres) is a popular hangout place for Hungarians. It features not only a 5.5 km long running track (which is always very crowded), but also Palatinus swimming pool complex with beach, tennis courts and athletic stadium. There is a huge park with wonderful fountains, and of course several pubs and even a hotel! It is a little paradise in the heart of Budapest. There are also some medieval ruins and a water tower. I recommend having a picnic on the island, memory that will never fade away. Located North of the Parliament, ideal place for a little city break in the middle of the Danube. The place is full of runners, beer drinkers and families on a walk. This used to annoy me when I was driving every day to work, but it actually is quite cool that so many movies are shot in Budapest. In some respect, Budapest does resemble Prague. In other, Budapest might be cooler to shoot movies as this article suggests. You can see the St. Stephen’s Basilica in the trailer. Unfortunately, I did not see either Jason Statham or Jude Law. 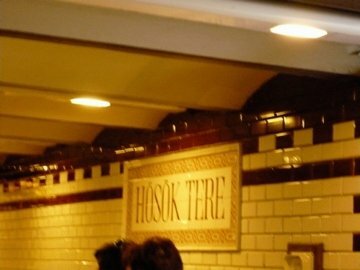 Other movies that were shot in Budapest are for example: Hercules, Doctor Stranger, A Good Day to Die Hard (with Bruce Willis), Mission: Impossible – Ghost Protocol (with Tom Cruise), Season of the Witch (with Nicolas Cage and Christopher Lee), The Rite (with Anthony Hopkins), Underworld and many other. Very popular are the Korda movie studios in Etyek close to Budapest, where Hellboy II: The Golden Army and the series The Borgias were shot. No wonder that it is being referred to as Etyekwood. Pubs, clubs and bars, which are located in vacated buildings that would have probably been taken down, if the new owners would not renovate them and transform them into a ruin pub. But what is the ruin bar concept? Imagine that you walk through somebody’s flat; you sit down to have a drink in a worn sofa or by a table with all 4 chairs being different. When you are ready to explore more, you just simply exit this room and get into another one, which has a different atmosphere, decoration and furniture too. Every chair is different and the entrance door to the restrooms has no handle, but an old telephone instead. This is Szimpla. Note: there is a farmer market on Sunday. The most popular ones in Budapest are Szimpla, Fogas Haz, Ankert, Kuplung (with live concerts), Instant (that features even multiple dance floors with different music styles!) and many more! There are so many that I would probably make a tour (what a sacrifice) and create an extra post about them. Or if you cannot wait, check out this site. When I used to come to Budapest for business trips, it always reminded me of Prague in the last 30 years of 20th century. Except for Budapest being more colorful and retro. I like how every single thing gets reused in Budapest – such as old tram seats that you can sit in in many bars or car seats including the steering wheel! And I am absolutely in love with those vodka/soda bottles. There are also a lot of retro and vintage shops where you can buy things to remind you of the “good old” communist times. This special festival takes a week (yes, there is a lot to showcase) and is located on an island in the North of Budapest. Going to Sziget creates actually a perfect chance to combine a tour of Budapest and some freaky good culture too. I already wrote many articles about Sziget, just have a look at the tag Sziget under the article to find out more about this marvellous festival! Sziget 2015 will kick off with the gig of Robbie Williams! I had a chance to see the show in Krakow in April and believe me: you do not want to miss this one! Although this might be a feature of Hungary itself, I finally live a cashless life. The only moment when I need cash is when I go shop for groceries to some of the markets, but apart for that…not really! Also, if you go to festivals, be it Sziget or a food festival in the city Park, you can pay with your PayPass card or with FestiPay or MetaPay RFID card. 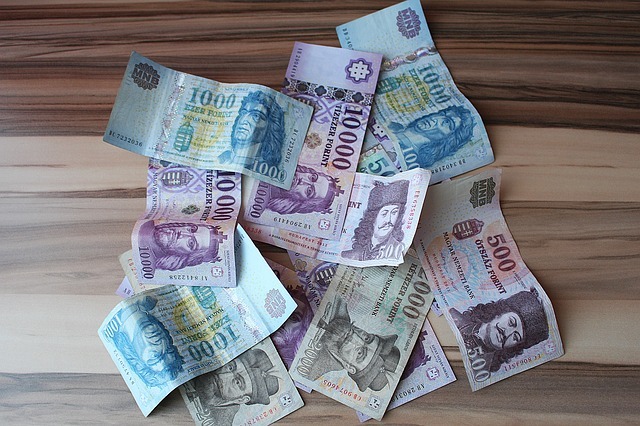 I enjoy not needing to carry thousands (yes, Hungarian Forint is a very generous currency) of Forints on me as it is possible to pay with card pretty much everywhere. I guess this is what differentiates Eastern from Western Europe. The public transport in Budapest is really cool (and a bit pricey too)! When I moved here, I got the feeling that every street has line running through it. I found out only later that this is not the case, but pretty much all the major streets in the city centre are covered with a bus or trolleybus (yes, there are no trolleybuses in Prague). The metro has 4 lines. The line 1 is the oldest metro (in operation since 1896) in continental Europe and it resembles rather an underground tram, but I really appreciate that the stations are not so deep under the ground. So you can easily run down a few stairs to check if it is coming and if not, you are fast out and can continue walking to the next stop. It is also very cute as it is a bit small and cramped. This is a very cute sign at the Heroes Square and I dare say the stations of Metro 1 are the fluffiest I have ever seen. The Metro 4 was opened in 2014 (it has nice spacious metro stations!) and it is alongside with the Metro 2 air-conditioned. Metro 3 is the heater of the whole public transport system as it has old Russian wagons. It is nicely warm in winter and unbearably hot in summer. But, modernization is ongoing! The 4 and 6 (so called negyes, hatos) tramlines are operated by the longest tram (Combino Supra Budapest NF12B) in Europe. It has incredible 54m and six carriages that you can freely go through. This tram line forms the backbone of Budapest surface public transport. So when there are works (always!) on the line, everything gets a bit chaotic. Metro, trams, trolleys and buses are air-conditioned – not all of them of course, but the chance that you would come across to one is not small! It is always funny to see the people get out of a bus to the heat of the streets of Budapest and watch their faces when they get their first breath of the hot air outside. Budapest is full of restaurants that are not scared to experiment and the results are worth it! There are also a lot of places where you can go for a lunch menu for an affordable price of 3-7 EUR. Also if you are up to Kosher or just want to give it a try, the Jewish Quarter offers quite some options (and cheap too). 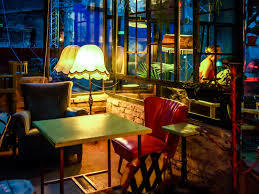 My all time favorite place for lunch is Nu Bisztro at Eiffel tér close to Nyugati train station. They serve lunch menu until 4 pm and you can choose from 5 different starters, mains and desserts all for a price of 1,800 HUF (6 EUR). They also offer gluten-free food and vegetarians would not suffer either! If you go to Hungary, knowing Hungarian may come handy. But do not get discouraged by not knowing the language, because guess what, it is not necessary! Hungarians do realize that Hungarian is not the major language taught in primary schools all over the world and you would be quite surprised how much English you see and hear around you. More importantly, if you speak German, you could have luck in talking to quite some people too. I personally enjoy the Public Transport information on the stops being both in Hungarian and English, although I do admit that sometimes I run into troubles. My favorite one is when they say something in the loudspeaker of the Metro 3. Although I am trying to catch at least some helpful word through the noise, I often fail totally. However learning a bit of Hungarian (at least the polite phrases) opens up the heart of locals. You can find a useful resource here. And yes, it happens to me that I try to speak Hungarian in a shop and they answer me in English. But guess that is normal (happened already in the Netherlands). This is something that beer lovers would appreciate. Although Hungarian beer is not that bad, Hungarians themselves reckon that the Czech beer is better and as such you can get it on tap in almost every pub. The downside to it is that although you can drink a nice Pilsner, often they have no clue on how to tap it well, so it does not taste that well. I even managed to get hold of my favorite beer on tap – Holba Šerák, but it was very sour. Probably not so many people were ordering it. Just a little side note – although it might seem as a good idea to sell beer in plastic cups, it tastes much better from a glass! Bar owners, think about it. Anyway, that is what you pay for, right? Budapest is also getting pretty flooded with various craft beers and there are even festivals of craft beers being organized. They present a nice alternative to the classical euro beers offered on the tap. Although, sometimes you just get unlucky and the taste is worse than a bouillon from 3 day old socks. Budapest is being targeted by a lot of tourists and all of them want to have fun. This often involves heavy drinking (oh, it is so cheap) and mess in the streets (everybody needs to know that I am having a great time at 2 am in the streets of Budapest). During weekends, you would come across to multiple stag parties (girls make them too!) and groups of local youngsters crawling from a place to place. Pub crawls are actually quite popular too and many hostels offer them to their guests. So you got it now, there is a party in Budapest. As my friend called it once, it is endless party. True that any day that you would go out, you would not get bored. Be it Monday or Wednesday or Friday night. But what I originally wanted to write about is that Hungarians love to spend time outside! Maybe because they are no longer allowed to smoke cigarettes inside? So whenever the weather allows a bit, masses of people would buy canned beers and cheap wine and would gather on big public places like the Erszebet Square and have fun there. There is also quite some open air events being organized throughout the year. Budapest is simply a place to enjoy partey! Budapest is a big city and as such it allows for big stars to throw a concert here! There would not be a month, when we would not be going for a concert. My popular concert places are A38, which is a boat in the middle of the Danube (cool, no?) and Budapest Park, which looks like a little festival, but just with one stage. Decoration by the entrance to Budapest Park. Looks familiar? Of course! That is the decoration that you could see in Sziget! Last year we enjoyed the Pet Shop Boys concert there and this year even DJ Bobo is coming (who is in?). The A38 (the name comes from Artemovsk 38) is a unique concept, because as it is located on an old Ukrainian stone-carrying boat, so noise does not matter that much. It is actually considered one of the coolest clubs in Europe by many artists who came to play there. Selah Sue was in 2015 so amazed by the boat and the atmosphere that she promised to return here and then. So if you happen to visit Budapest, try to squeeze in a concert in one of the venues. No matter that you do not know the band playing, I was never disappointed and you would not be either. 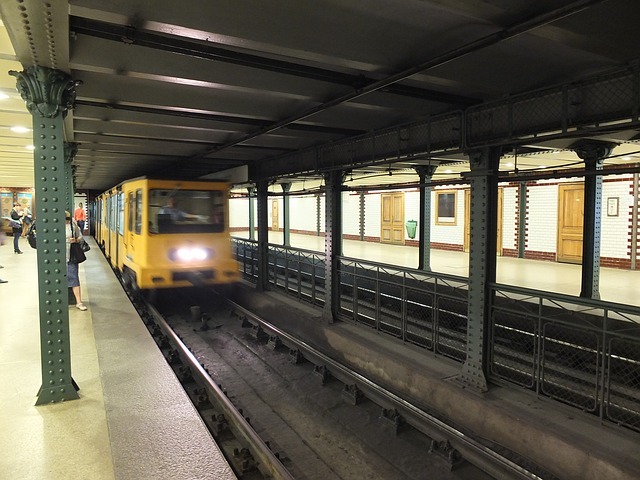 Prague has started to play music to the travellers of Prague Metro in 2013, because it has been a bit dull in the underground passages. Truly ambitious project. As I remember there was a record playing in a loop with famous movie melodies and yes, it gets a bit scary when you rush off through the tunnels alone and all of the sudden there is the Pink Panther melody playing. Budapest does not have this problem. Actually, on the contrary, the metro passages are very lively. Locals take out their instruments in hope of receiving little cash from passers by. They play for hours in the underground passages. Sometimes you have even whole groups playing various instruments and singers too! So always have some coin in your pocket. Every Wednesday afternoon, there is a little get together of local Christian community with songs and reading from the Bible in the underground passage by Nyugati train station. Although, I do not understand much, it indeed makes you stop and listen for a while. I know that I already wrote about this in my post Everything You Wanted to Know About Hungarians, but I am still amazed by the local guys being so polite towards women. There would not be a day when somebody would not open doors for me or let me first into the elevator. They often insist on exiting the lift after you too, which needs a bit of juggling in the small space. So why do they do it? And how comes that men from other nations are far from being like that? Happy to discuss, drop me a comment below. If you do not want to miss out a post, sign up to receive them by email. Form is below! Are you on Facebook or Instagram? Let’s connect there too! Ciao Thiago! What makes A másik ajtó a unique cocktail place? Is it the interior or the variety of coctails? I would love to visit there just once. Great post highlighting why I should actually go! Loved it! Love this post! I am watching the movie Grand Budapest Hotel, so now I want to go from reading your post! Awesome review! Thank you very much, Valerie! I went to Budapest and the bathing spa at Gellert years ago. It was cool but rundown. I can’t imagine a ‘sparty’ is my scene either. I didn’t realise Budapest was now so popular for movie scenes. Guess it’s moved on from Prague. I like Gellért, it is the most photogenic spa in Budapest 🙂 now they were gradually reconstructing the spa sections so I think that it improved a lot. But yes, some parts of it look like a bit retro, as pretty much everything in Budapest. Great post. There seem to be a lot of spas in that part of the world there were a lot in Slovenia. I will save this post for when we visit. I had no idea all of those movies were shot in Budapest! And those spas look delightful! 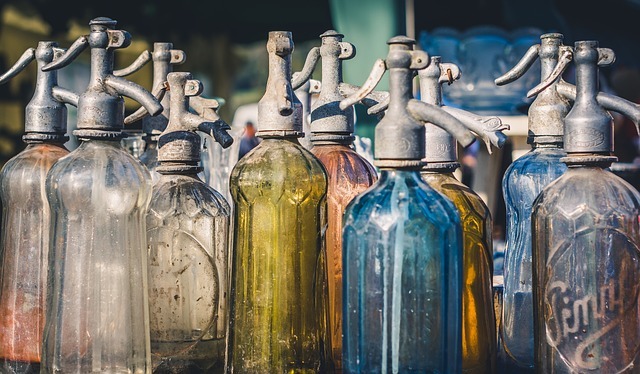 Thank you for linking up with Travel Tales! 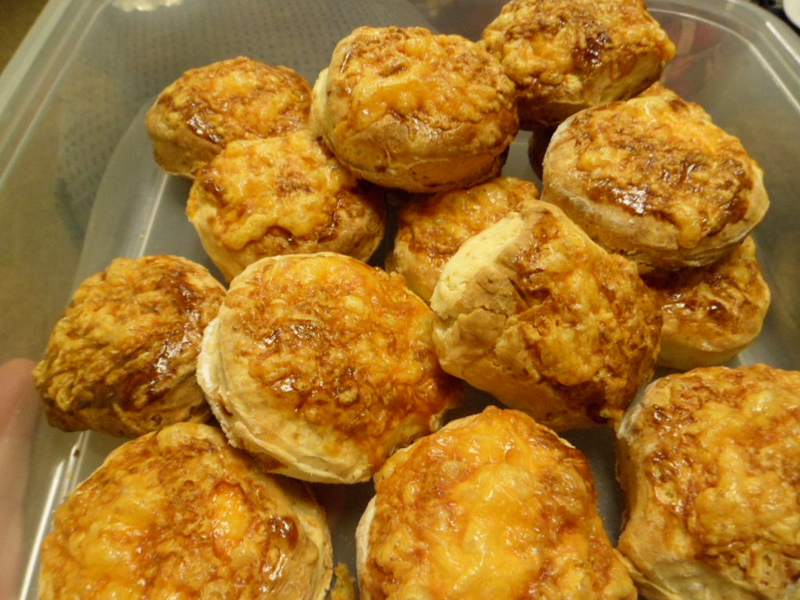 You have sold me on Hungary, but then it has been on our list for a while. I love the look of pogácsa and the fact that the men are gentlemen. Nice. And wait until you taste the pogácsa! It totally made me an addict and sure will capture you too! Sounds like a quirky (in a good way!) interesting city to visit. You definitely make it come alive! The Hungarian capital Budapest has been named the world’s second-best city in the world in a top American travel magazine.